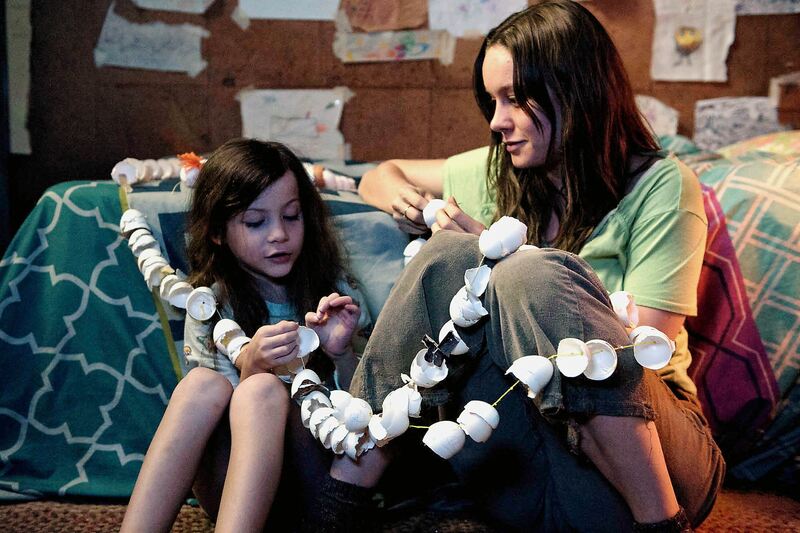 ROOM is one of the most impressively directed and acted films of the year. Even though it has no graphic images, it has some of the most intense moments put on film in years. Based on the novel and screenplay by Emma Donoghue and predating two life imitating art events, ROOM is the story of a 24 year old woman, Ma/Joy (Brie Larson) who was kidnapped at the age of 17 and has been held captive in a shed for 7 years. Living with her is her 5 year old son, Jack (Jacob Tremblay) who was fathered by “Old Nic,” (Sean Bridgers) Joy’s kidnapper. While Joan Allen, William H Macy co-star as Joy’s parents, the third leading character is room itself. Through Lenny Abrahamson’s skillful direction, the audience views Room as a character. For Jack, Room is a friend or family member where each part and piece is named, from the cupboard where he often sleeps, to the the bed, tub, table, chairs, stove and plants, Room is living friend. For Ma, Room is alive as well, however it is a co-conspirator with her captor Nic. In an effort to shield her son from the trauma of their situation, Ma allows Jack to live with the understanding that the shed is the world, and the outside is the unreachable universe. Jack’s only conception of existence beyond the world that is Room is the view out of the skylight in Room’s ceiling. The only interludes from what is outside Room are the occasional nighttime visits from Old Nic who brings weekly food supplies and other necessities. The only contact Jack has with Old Nic are parts of conversations and mysterious noises he overhears and glimpses of the man he is able to steal between the wooden louvers that make up the door to a cupboard where he sleeps on nights Old Nic calls on Ma. During most of the captivity scenes within Room, the audience experiences a mother who is doing the best she can to shield her son from the captive hell that is their existence. It is a more realistic vision of the power of love and the extremes a parent would go to make what is intolerable livable that is presented in Life Is Beautiful, an Academy Award winning film in which a father shields his son from the reality of life in a World War II concentration camp. The last third of the film shows the challenge of life after Ma and Jack escape from Room. Even though they break free from their isolation, in many ways they still feel the presence and power of Old Nic and Room. It is in this part of the film where the acting, story and character nuances truly shine. While Room had been a place of captivity and challenges beyond imagination for Ma, it also served to shelter Jack and Ma from many of the complexities of life in the world beyond Room. Immediately upon rejoining the world, society, and family, Jack and especially Joy encounters the challenges of life made more difficult by now being celebrities. As Israel experienced challenges after their dream of escaping from their slavery in Egypt and later Judah’s homecoming after the Babylonian exile, the exodus of Joy from her imprisonment and her return home from the exile that was her time in Room brought challenges as she was reintroduced to her life at home. As Judah discovered, the home she returned to was not the same home she was taken from. While the circumstances of her home had changed, as is usual in family systems, the way of being, homeostasis, of the system that was Joy’s family reasserted itself upon her return. Many have experienced this reality in lesser forms when an adult child returns home after moving away. Though an independent adult away from home there is a tendency to revert to child roles when back at home. For Joy, there would not be true escape until she broke free from this second family systems captor. A second scriptural connection is presented in Jack’s introduction to the world outside Room. Paul teaches in I Corinthians 13 that though we have a glimpse of God and the Kingdom of God now, it is obscured, as through a darkened window. Whereas now we see and experience God and the Kingdom only in part, through resurrection we shall know fully and see God face to face. Our comprehension of God and the Kingdom is just a small taste of the ultimate experience. So the world is for Jack. The full exposure to the world after his escape is beyond anything he could imagine looking up into the world through Room’s skylight. Both Brie Larson’s and Jacob Tremblay’s performances are extraordinary. Larson is being discussed as potential Oscar nominee, and Tremblay offers as powerful and realistic performance from a child since Anna Paquin’s Academy Award winning performance in The Piano. 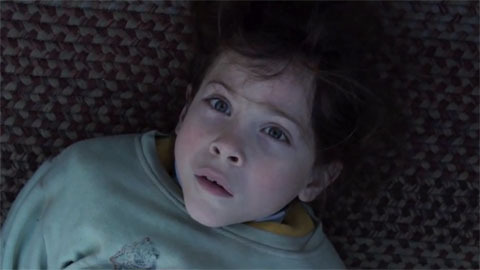 ROOM is rated R for language, intense scenes and scenes of child endangerment. This entry was posted in Faith Shots, Film Shots and tagged Apostle Paul, Brie Larson, Emma Donoghue, Faith in Films, Family Systems, Homeostasis, I Corinthians, Israel, Jacob Trumblay, Joan Allen, Judah, Kingdom of God, Lenny Abrahamson, Life is Beautiful, ROOM, the Exodus, Through a glass darkly, William H Mason. Bookmark the permalink. I loved this book and can’t wait to see the movie! Thanks for the review!